The Paxiom Group has expanded its line of tray formers with small businesses in mind. 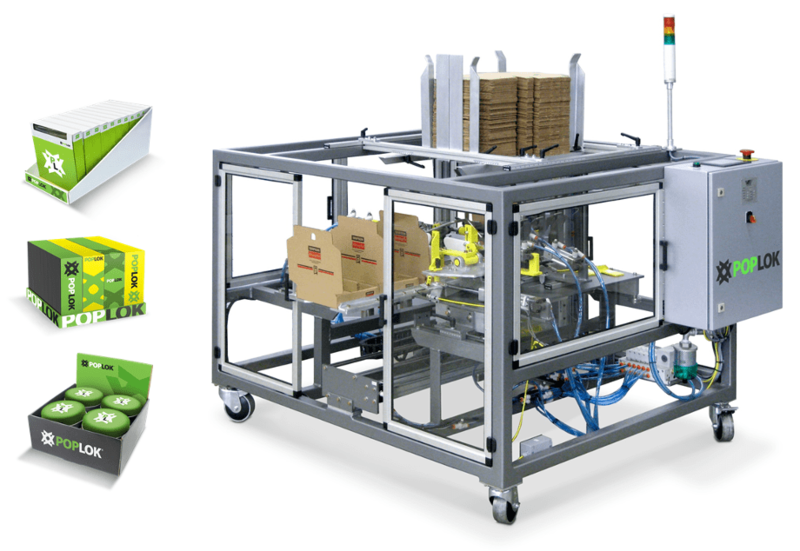 The cost-effective PopLok® VS series is an easy-to-operate automatic tray forming solution designed to erect self-locking corrugated and paperboard trays, with or without a lid. While holding several similarities with its standard PopLok® predecessor, the primary differentiating features of the PopLok® VS include its ability to handle a tighter range of tray sizes and its simple design. With no mandrel or tooling required, the PopLok® VS Series also allows for a quick and easy change-over between tray blank sizes. The economical PopLok® VS Series is capable of forming 1-tuck and 2-tuck trays at speeds of up to 600 trays per hour, helping small business operations to increase efficiency, eliminate repetitive motion injuries associated with manual labor, and achieve higher levels of productivity. While the PopLok® VS Series offers speed in on-demand tray forming, the compact tray erector also saves floor space and minimizes risks for contamination associated with long-term storage of erected trays in production facilities.